"L'Abbaye de La Réau" offers five rooms located on the second floor of the monastery buildings, which can accommodate fifteen people. Simple without being too austere. A long hallway covered with antique floor tiles serves each of the rooms. Large 17th century windows illuminate the rooms with their pale walls which all look onto the south side of the park. The wooden beds have curtains to keep out the draughts, as in former times. 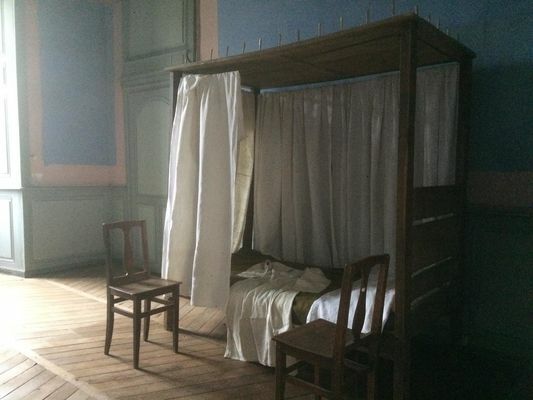 However, the mattresses are no longer made of straw: they are comfortable and framed by immaculate curtains. Rush-seated chairs and a table or a chest are the only furnishings. A folding screen conceals a washbasin in each cell; communal toilets are at the end of the corridor. That little extra something: an ideal retreat for a group of 15 people, or a magical night for individuals or families in search of sharing an unusual night in a timeless place: a real experience! 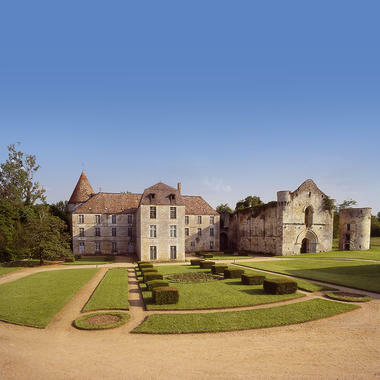 There is no review about L'abbaye De La Réau, be the first to leave one !